I am feeling super relaxed after what was probably my last long weekend in the Hampton's this year (cue the tears!) but Monday mornings always call for some extra cups of coffee! I need that shirt!!! 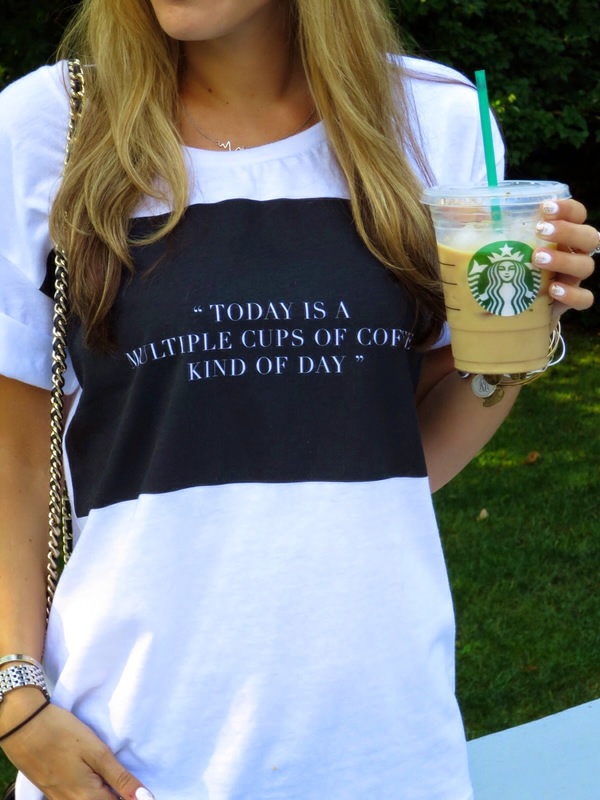 Pairing it with Starbucks totally makes the outfit shoot! Of course, coffee was a must have for these photos! You put together a super cute outfit! I love the fedora! Thanks! It's one of my favorite fall accessories! What a cool shirt! Want. 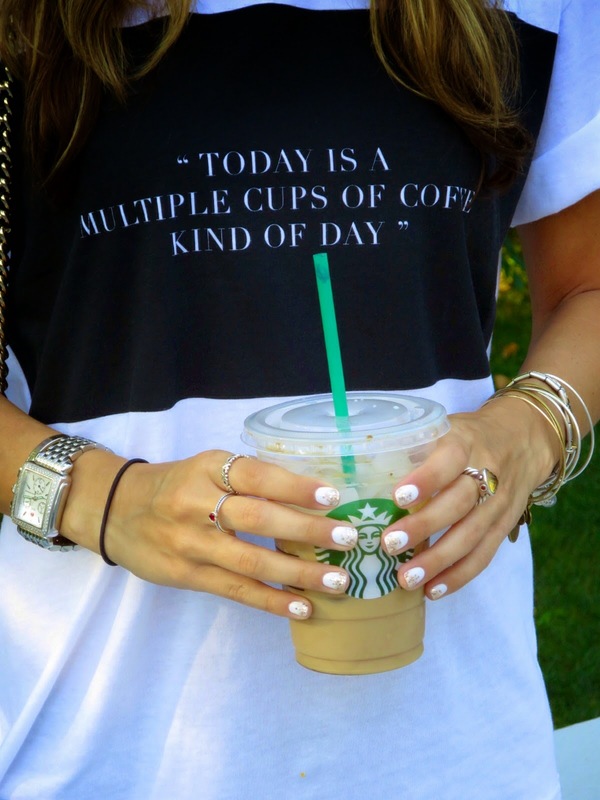 everyday is a multiple cup of coffee day for me! I need this shirt! This look is so cute! I def need that shirt! Thanks for linking up with us pretty girl! Thanks so much for having me :) Love this week's theme!